This journey is a part of 11-11-11 Portal: Dragon Plane. CLICK HERE to see 11-11-11 Portal: Dragon Plane Walkthrough. Intro: You are welcome here, Hero! I have called, and Lore has answered. The whole of Etherstorm Wastes is under attack... from itself! The elements which make our home battle each other, combining and tearing themselves apart. The dragons who live here frenzy. All this is Desoloth's doing. You must stop him, or all of Lore is in danger! I am old, Hero, older than your many-times great-grandfather. I have seen Heros come and Heroes go. But you... I see the twin flames of endurance and honor burning brightly inside you. I am old, and set in my ways. But I know that it is the youth like you who will lead us into a future blazing with light. [LETTER FROM S'KIS] Time is short. You MUST journey to EtherStorm Wastes! My Master fears that you are the only one who can save us-- and the world. Without your assistance, the great Desoloth-- who even now directs his mighty powers at our home-- will annihilate our land, causing the elements which make it up to consume us entirely! And once he has subdued our home, he will move on to yours. His power over the elements is massive; there is no knowing the strength he possesses. My Master is left shaken after the death of Zellare, the Prime Fire Dragon, but knows he must burn brightly as he calls to you, and to our new Prime Fire Dragon. Time is short, and the fires burn hotter and higher as I write. Please, make haste to EtherStorm Wastes! You are greatly needed! May the Flame of Courage burn ever bright within you, I am your servant, S'Kis (Acolyte to the High Priest of Fire). [HISTORY SCROLL] I have never been to the DragonPlane except in visions and through a veil of flamge, Hero. But when I stare into the fire in my altar, I see that Desoloth's prison is empty. It does not matter what went before; we must focus on the future to correct the past. The deaths of the four Prime Elemental Dragons-- Fire, Air, Water and Earth-- must be atoned for in blood. Desoloth's blood. He uses people-- human and sadly misguided Dravix-- to do his bidding. It is he who must ultimately pay. Dragons MUST NOT harm other dragons. If such violence is allowed, I fear we will see a repeat of the War of Blood and Flame! That CANNOT happen; dragons must not make war on dragons! Desoloth must be contained. Forever. You MUST help us! Description: The rising fumes of sulfur leaking from the newly opened volcano vents are clouding our air. But the imps which live near the vents contain cores which we can use to construct a suit which is vital if you're going to enter the heart of the volcano where my altar lies. Kill Sulfur Imps for 10 sulfur cores and an Enchanted Lava Bucket. Defeat Sulfur Imp to get Sulfuric Core and Enchanted Lava Bucket. After that report back to Hs'Sakar to get your rewards. Description: Your suit of flame must be alive if it is to keep YOU alive. The heart of the volcano, while it was dormant, could still see into a Priest's soul, and WE have mental barriers. For a human, and with the volcano awakened by Zellare's death... you will need at least, hmmm, yes, 15 Flame Essences from Living Fires. Defeat Living Fire to get Essence of Flame. After that report back to Hs'Sakar to get your rewards. Description: The Essences of Flame you gathered were not suitable for the final coat. For THAT, we will need lava, but you'll need to gather it outside the volcano. You have the Enchanted Lava Bucket, yes? Good. You will gather 13 Bucketfuls of Lava, and I will construct your suit. Find Bucketful of Lava. The Bucketful of Lava will mark by the Arrow. Click it to collect the Bucketful of Lava. After that report back to Hs'Sakar to get your rewards. After that, Hs'Sakar will told you, "The Flame Suit is required for you soft-fleshed creatures to brave the heart of the volcano. Were you equipped with Dravix scales like mine, you would be protected. There is much for you to do to secure our realm. But first, you must subdue to crazed fire dragons which allow Desoloth's influence to enter here". Description: If you are to walk the path of a Hero, you must journey this next distance alone. One must approach the heart of the volcano with peace in their mind and heart. Find my altar so that I know the volcano accepts you. Scout the entire area until you found the Altar. Description: It may be that you will need to recruit help from more than the other two I have called here. Should that be the case, gather 20 Sacred Flame Seeds. We will plant them in the hearts of your cohorts and kindle the flames of battlefire inside them. Go now! Find Sacred Flame Seed. The Sacred Flame Seed will mark by the Arrow. Click it to collect the Sacred Flame Seed. After that report back to Hs'Sakar to get your rewards. Description: I did not think it would come to this. But it appears the enraged dragons which live in our realm have turned on their own. And worse, they threaten the next generation. You mustsave the young dragons, but they will not go willingly. Be gentle as you bring the 20 of this clutch to me, or I will deal harshly with you. Defeat FireStorm Hatchling to wrangled them. After that report back to Hs'Sakar to get your rewards. Description: One of the strongest of our dragon denizens, a brave warrior and clever wielder of the magics, has been particularly susceptible to Desoloth's plan. You must subdue but NOT kill Ssikari, one of our most promising dragons. You will find him inside the volcano. Description: Those Sulfur Imps are making the quests in this place REALLY hard to complete. It's hard to battle when you have to hold your nose! Kill 15 Sulfur Imps to reduce the odor a bit. Defeat Sulfur Imp to diffused the sulfur. After that report back to Hs'Sakar to get your rewards. If you manage to defeat Ssikari, Hs'Sakar will call Galanoth and Warlic to help the situation. After that, Hs'Sakar introduce you to other priests, from Earth, Water and Air. Then the priests back into the deep of the volcano to discuss about the choosen Prime Dragons for each element. While they still discuss, suddenly X'Dir shows up and told them that the wrath of Desoloth will be upon them if they did not subdue to Desoloth. After that, Hs'Sakar will told you, "Ssikari is resting comfortably in a sealed off magma chamber near my altar. I will make sure he recovers well and whole. For now, we must make plans, to use our resources and strengths wisely. Rest now, Hero, and rekindle the flame of your strength. The coming days will be trying indeed". Intro: Wind refresh you, Hero! I welcome you to the Realm of the Air Dragons, such as it is. With Desoloth's influence spreading, it is not the gentle place it was. But, if we can subdue him, perhaps soon you will see what a glorious place it can be! With your help, I hope to make it so! I, As'iiur, am one of the most powerful of the Prietsts. Do not be fooled by my gentle ways. Without air, you'll have no breath, and no life. Without me-- and my Master-- the Air Dragons have no guidance. That cannot be! I will protect them with everything! My magic, my potions... even to my life itself! Description: If you are going to subdue Desoloth, we must steal the very air from his lungs. As like calls to like, you must bring me 15 Breaths of Life from the Wind Elementals and Living Air monsters. Defeat Living Air and Wind Elemental to get Breath of Life. After that report back to As'iiur to get your rewards. Task 2: Where Air You? Description: You have shown yourself skilled by now, Hero, but can you see what isn't there? The very air? Where do you think my temple lies? It is not so obvious. Below the ground, under the sand. If you would understand, seek my temple where dragons cannot fly. Explore entire area until you found an Arrow pointing at the Sand. Click the arrow to dig the Sand. Click it repeatedly until you have reveal the Altar. After that report back to As'iiur to get your rewards. Description: I jest, to be sure, Hero! You could not invade this sacred realm if I had not given you leave to be here. Or... so I thought before Desoloth arrived. HIM, I fear. You... you will help. Collect 10 samples of the air in the indicated Sacred Spaces. You will learn soon enough what it is for. Enter the Cave. Then find the Sacred Space. The Sacred Space will mark by the Arrow. Click it to find the Sacred Space. After that report back to As'iiur to get your rewards. Description: You see the crystals all around my temple? I store magic in them. Bu tnow, now they must be released, and aggresively. It will tinge the magic with your emotion. Break 15 of the crystals on the wall to release their Airther. From the King Crystal, I will need you to waken my Air Spirit Guide. Enter the Cave. Then destroy Air Crystal to release Air Aether and then destroy KingCrystal to trapped Air Spirit. After that report back to As'iiur to get your rewards. Description: The fire in his heart must be extinguished, blown out. Wshhht! Like so. But he is strong, so strong. The strongest of all, perhaps. But you, you are stronger, no? As I do, so it will be done. I need Caustic Pollen from Sulfur Imps and you should gather Fire Blossom Petals. Bring them all... to me. Go to Fire Storm Location (Code Location: firestorm). Then find Fire Blossom Petal. The Fire Blossom Petal will mark by the Arrow. Click it to collect Fire Blossom Petal. Then defeat Sulfur Imp to get Caustic Polen. After that report back to As'iiur to get your rewards. Description: I seek the space between... between the wicked lies... I tell... my dragons I fear for them! And me. Do not let my fickle, fuddled words confuse you. You must not let Desoloth destroy us all! The Space Between, retrieve it from the Energy Tornado. It is the last physical spell component I need. Defeat Energy Tornado to get The Space Between. After that, As'iiur will ask you to met Hs'Sakar to learn about the formula for As'iiur's spell. Intro: You have done well, Hero! Soon, I trust, the gentle breezes will return and this noxious fog will disperse. The lightning of air clashing with earth-- the ley lines of energy in the sky are supercharged if you can but feel it!-- will die down. There is one more thing I need. Go, get the formula from Hs'Sakar! Talk to him. Long has the knowledge of the double-double hydro-oxy bond eluded me. Hs'Sakar learned it from his Master, back before he switched allegiances and took shelter in the warmth of Fire. Coward. Once, we two were Air Acolytes together. Then... he got tapped to become the High Priest of Fire. I know not why. Description: You must go to Hs'Sakar, High Priest of Fire, and retrieve the formula which will help make this spell complete. Take your time, go slowly, for the road is dangerous. Talk only to him, and once you have your answer, /rest, then make your way back here. Then we shall see what is to become of us all! Go to the Fire Storm Location (Code Location: firestorm) and talk to Hs'Sakar. If you met Hs'Sakar, he will told you, "A formula for-- what? No, no, I do not know anything like that. I knew something similar, but As'iiur's mentor and mine, he taught us both the same things. As'iiur even more, for he was the favorite. I do not know why you were sent here, my friend. I am sorry, but you should return to the Air Priest now". And go back to the Air Storm location (Code Location: airstorm), and you found out that Galanoth is missing. And As'iiur will told you, "I do not know where your friend has gone... or if he is still a friend. You cannot always trust those who appear to help. And who knows? Perhaps there is something he greatly fears, something driving him to do this. We cannot always know the mind of a... friend. It will be as it must, brave one. It will be. You would think I should know this formula already, as much a PotionMaster as I am! A great teacher, learned and wise, and ready to share my knowledge. I correspond with Alina, and with Reens. We players with potions are a tightknit group. But Hs'Sakar spurns us by withholding the knowledge!". Intro: Oh, Hero! I do not know what will become of us! My home, look at my home! Wretched, wasted, torn by violent elemental clashing. The purity of the air I love, sullied, as dark as the void in my heart when I think of what Desoloth has done to my home! I should be braver. I come from a long line of Priests. My greatmother was a High Priest of Air many centuries ago. But I am afraid. My Master, As'iiur, has been acting so frightened... when he thinks no one sees. But an Acolyte must know MORE that what he is told if he wants to rise through the ranks. Description: Hero, I fear for my element. If I am to be its custodian some day, I must protect it even now! But I am not strong enough. Please, separate the 100 spirits of the Air from the Earth's lightning where they are clashing inside the temple! Rewards: 1500 Gold, 1500 XP, 1500 Rep: EtherStorm, Quest Rewards (Helm of Thunderous Applause, Helm of Thunder's Might or Thunderous Zephyr Blade of Glory). Enter the Cave. Then defeat Lightning Ball to free the Air. After that report back to Ang'st to get your rewards. Task 2: Will You Take Omom? Description: My little friend, Omom, she has been with me since I was a young one in the clutch. I care for her, and she watches my back and plays Catch-the-tail to lighten my mood in these dark times. Some Living Air creature has stolen her. Please, get her back! Rewards: 500 Gold, 500 XP, 500 Rep: EtherStorm, Quest Rewards (Omom the Wind Lemur). Defeat Living Air to rescue Omom. After that report back to Ang'st to get your rewards. Intro: Hero, I see in your heart the strength of a warrior. One such as myself. You would defend justice, I believe. And I, I seek the means to avenge my people! Ravaged by invaders, my home burns and my people bleed. I quest to right the wrongs done to us. Through this, we will finally know peace. My home is a beautiful land, filled with the music of life. Nature sings to my People; we are the proud children of the forest. I left many days ago and journey to avenge the wrongs done to us by invaders. For all I know, I am the last of my kind. But I must hope that I am not. Description: The sounds of the rainforest, whether from animal or weather, are the inspiration for some of the greatest music. My people love music and I have learned the most beautiful music magic. Bring me 13 Tonal Crystals and 13 Music on the Breeze from Air Crystals, Living Air and Wind Elementals. Rewards: 1500 Gold, 1500 XP, 1500 Rep: EtherStorm. Defeat Living Air or Wind Elemental to get Music on the Breeze. Then enter the Cave to defeat Air Crystal to get Tonal Crystal. After that report back to Mido to get your rewards. Description: Outsiders! Always meddling where they are not wanted, bringin in things that do not belong! My people are already dwindling, yet they still come! They will regret the day they started this war! I will not rest until the forsts of my home are drowned in their blood. Kill the Living Fires and the Sulfur Imps to harvest 15 Seeds of Flaming Rage. Rewards: 1000 Gold, 1000 XP, 1000 Rep: EtherStorm. Go to Fire Storm (Code Location: firestorm). Then defeat Living Fire or Sulfur Imp to get Flaming Rage. After that report back to Mido to get your rewards. Description: My home... Yes, these are tears. Look long and understand the true pride of one's home and people! The carvings on the temple column makes my heart long for home. I shall bless it with lights. I need you to go out and capture 15 ball lightnings so I can create the lights to hang on it. Rewards: 300 Gold, 400 XP, 400 Rep: EtherStorm. Enter the Cave and defeat Lightning Ball to get Energy Orb. After that report back to Mido to get your rewards. Description: I have learned of the perfect weapon to bring home to my people. Know that you have brought me one step closer to gaining the freedom of my people. I seek out flaming tornados to send those outsiders running for their lives. Kill Living Fire and Living Air and bring back the components. Rewards: 500 Gold, 500 XP, 500 Rep: EtherStorm. Defeat Living Air to get Battle Gust. 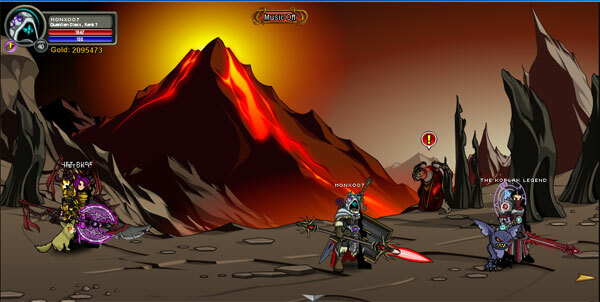 Then go to Fire Storm location (Code Location: firestorm) to defeat Living Fire to get Battle Flame. After that report back to Mido to get your rewards. Description: I am back and I have learned something new, something wonderful. I've discovered a weapon to use to keep those outsiders away. Sulfur can be made into a weapon of great power! Gather sulfuric fumes from the Sulfur Imps around here and bring it back to me. Rewards: 500 Gold, 500 XP, 450 Rep: EtherStorm. Go to Fire Storm location (Code Location: firestorm) to defeat Sulfur Imp to get Sulfur Gas and Sulfur Core. After that report back to Mido to get your rewards. Intro: The spell protecting the new Prime Dragons is a complex weave of the four Prime elemental magics. We will need to interrupt the weave if we are going to unravel it enough to free our new Masters. We cannot do that individually, and that is where your aid will prove most useful. Apart, we are each the masters of our magic. But when we combine them, as we did for the spell, the merge strengthens the magic, just as braiding strands of twine into a rope make it much harder to pull apart. You may well be acting as our Air focus, but nothing will help until the weave is interrupt! Description: A walk on the beach should bring peace. But today, I came across a mysterious beached tentacle that caused me great concern. I do not THINK it is an Old One rising... But... Hero, we need you to become familiar with our islands and find the Water Temple. Please explore, and if you come across the tentacle, approach with caution. Explore the area until you found the Water Temple. Then if you see the Tentacle, examine it by click at the button. After that report back to Ll'rillor get your rewards. As you see the Mysterious Tentacle, "*The sound of your nightmares crashing on the rocky shores of insanity are all that you hear as you approach this tentacle*. Report what you have seen to Ll'rillor after you have located the Water Temple, beware oh beware! The Sea is eternal, it knows what shall be. The present will become the past as past shades into future". Description: We MUST weaken the water-earth spell bond. In order to do that, we need a solution that is both made of water and earth. The Marsh Lurkers have blood that is, indeed, exactly what we are looking for. Kill 12 Mars Lurkers and bring me their blood. Once we link their blood to the spell and dilute it, the bond will weaken. Defeat Marsh Lurker to get Marsh Lurker Blood. After that report back to Ll'rillor get your rewards. Description: The flames of passion cannot be quenched, even in the wetlands. Did you know that female Frogdrakes only accept a mate with the most flamboyant flame? No? Then you must go and see them! If the conditions are right, the flames will crystallize. Gather 13 crystallized Frogdrake flames so I can break the fire-water bond. Find Crystallized Frogdrake Flame. The Crystallized Frogdrake Flame will mark by the Arrow. Click it to collect the Crystallized Frogdrake Flame. After that report back to Ll'rillor get your rewards. Description: Bubbles are a wonder of nature. So very fragile, ye beautiful and powerful in their own way. I must attend to the water-water bond of the spell. In order to do that I need you to destroy 15 Living Waters and gather 10 Bubbles ofWater magic plus 10 Burst Water Bubbles. With these components, we will weaken the spell further. Find Bubbles of Water Magic. The Bubbles of Water Magic will mark by the Arrow. Click it to collect the Bubbles of Water Magic. Then defeat Living Water to get Aqua Vitae and Water Bubble Burst. After that report back to Ll'rillor get your rewards. Description: Fishwings are such interesting creatures, a magical melding of air and water. We need their wings in order to move forward, Hero. I know, their sacrifice will not go unnoticed. Please bring back 13 fish wings and be on the lookout for the very rare Fiswings venom. I will need one vial of that to complete this vital step. Defeat Fishwing to get Fish Wings and Vial of Fishwing Venom. After that report back to Ll'rillor get your rewards. Description: It's time, Hero, to create a spiritual trident to break the spell. I need a great number of items to do this and you are the only one who can get them. Kill Fishman Soldiers to obtain a Fisman Trident. Kill Marsh Lurkers to get a Marsh Tribal Totem. Kill Frogdrakes to get Powdered Drake's Horn. Finally, please get 3 Effervescent Ocean Spirit. Find Ocean Spirit. The Ocean Spirit will mark by the Arrow. Click it to collect the Ocean Spirit. Then defeat Fishman Soldier to get Shining Fishman Trident, defeat Marsh Lurker to get Marsh Tribal Totem and defeat Frogdrake to get Powdered Drake's Horn. After that report back to Ll'rillor get your rewards. Then Ll'rillor will told you, "We thank you for your help, Hero! I fear you do not remember participating in the spell; that is not unusual for a first performance in a Merge. The magic, I could fee embraced you; the elements washing over you held your focus in thrall. But now... now we need you to battle our Master's protector. Once the DeepDweller-- a cousin of the Old Ones which live deep, deep below the waves-- has been convinced to let go its charge, you will return the eggs in which our Prime Dragons are contained. Bring them to the surface that we may free them from their magical refuge". Description: We need those eggs, Hero. All is for naught if we cannot obtain them. We have no choice but to kill the Deep Dweller in order to succeed. Please take care and remember that everything depends on you. No pressure, no pressure at all. Enter the Water Temple and defeat Deep Dweller. If you manage to defeat the Deep Dweller, then you use your Air magic to bring the eggs into the surface. While reach the surface, the eggs hatched and the new young Prime Elemental Dragons born. But, in the distance, Galanoth fail to defeat Desoloth, and nearly lose his life if Warlic didn't help him. Then Ll'rillor will told you, "You heard the full-throated roaring of our new Masters, as did I. It is glorious to see them, and in their new forms. It is proof that their elements are embracing them, and they will soon be fully realized. We will guide them, teach them the intricacies, but it will be up to our combined powers to see them to total Prime-hood". Task 8: Make Marsh-mallows out of them! Description: Hmmmm, Hero. You would not have tasted my specialty, would you? No. of course not. You must! I treat my acolytes with them when they have been especially brilliant. If I'm to make them for you, I'll need the eyes from 10 Marsh Lurkers and the Beaten Air stirred by 5 Fishwings! Defeat Marsh Lurker to get Marsh Lurker Eyes and defeat Fishwing to get Beaten Air. After that report back to Ll'rillor get your rewards. Description: I am adept in more than just the manipulation of pure Water, Hero. I have concocted a drink made from the 7 sacs of Frogdrake Venom and 7 Pools of Death from Living Waters! Bring them to me and I'll serve you a drink that will heat your blood-- perfect before battle! Defeat Frogdraken to get Frogdraken Venom and defeat Living Water to get Pools of Death. After that report back to Ll'rillor get your rewards. Intro: I see you, Hero, and stones keep you strong! You have found my home, the realm of Earth ruled by Arradia now. These crystals you see, they are a portal to the hidden, inner Earth Realm that is our TRUE home. I would not like to see it fall to crazed elementals. Wield your skill in our defense! The lattice-- like structure of the crystals makes them perfect to act as containers-- of our magic, history, and fledgling dragons! Of our secrets, and those we have learned of the other elements. We are shepherds of them all. You will travel to the heart of the Earth Realm, sent there by my magic. Description: Hero, the times are dire and we need to go deeper into the earth, deeper so you can understand more about this precious realm. The Core Crystal MUST be secured first. Kill 5 each of Fire, Water, Air and Earth Elemental and bring back 5 snuffed flames, 5 still wind, 5 toxic water and 5 shaken stones. Prove the Core is secure with this. Defeat Fire Elemental to get Snuffed Flame, defeat Air Elemental to get Still Wind, defeat Water Elemental to get Toxic Water and defeat Earth Elemental to get Shaken Stone. After that report back to Dr'rader to get your rewards. Then Dr'rader will told you, "I think you are ready, Hero, to enter the Crystal Core which contains the secrets only we Earth Priests have known. The elemental dissonance Desoloth has been encouraging penetrated even into it's center, so our beautiful caverns have seen earth-shaking battles already. Much will be required to gain the secrets you need. Close your eyes; the journey into Earth's heart can disrupt equilibrium". Description: The earth, in an atempt to subdue fire, surrounded the wild flames in its own clothing, creating a fine, crystal shell. Now that the fire is tamed, I need you to free it so it may once again burn brightly, but under control. Free 10 Crystallized Living Fire, 5 Saphire Golems and collect 3 Glowing Coals. Enter the Crystal Cavern and go to the Fire zone at the very left entrance. Then find Glowing Coal. The Glowing Coal will mark by the Arrow. Click it to collect the Glowing Coal. After that defeat Crystallized Living Fire to get Shattered Heat. Then go to Water Zone at the 2th entrance from the left to defeat Saphire Golem to get Aqua Libertas. After that report back to Dr'rader to get your rewards. If you manage to finish the 2nd task, Dr'rader will told you, "Water and Earth have long lived together, but Desoloth's arrival turned a mostly peaceful, sometimes turbulent relationshtip into all out war. To contain the raging Waters, we Earth Priests were forced to solidify it, restricting the free-flowing water into a crystalline matrix for our own safety". Description: When water and earth went to war, the secrets of water were stolen. The water acolytes faithfully retrieved them and hid them away in the matrix of Crystallized Water. I need you to destroy Crystallized Jellyfish and Diamond Golems. Collect 8 Water Shell Matrix Decoders, 8 Diamond CystalCutters and the Water Secrets. Enter the Crystal Cavern and go to the Water Zone at the 2th entrance from the left to defeat Crystalized Jellyfish to get Water Shell Matrix Decoder. After that unlock Water Secrets. The Water Secrets will mark by the Arrow. Click it to unlock Water Secrets. Then go to Air Zone (3rd entrance from the left) to defeat Diamond Golem to get Diamond CrystalCutter. After that report back to Dr'rader to get your rewards. If you manage to finish the 3rd task, Dr'rader will told you, "Air is all around, everywhere there is Earth, there is Air. And that omnipresence led Air to invade the very core of Earth. Earth won, of course, but to contain the secrets it learned about Air, we have channeled it into a beutiful prison-- enchanted arias. If you can play the song they sing, perhaps the music will share its secrets with you". Description: Air has secrets and they are locked away from all but those who know the proper song. I saw the need to hide them after Air and Earth fought. If you want to hear Air's song, you have to be able to reproduce the tones the crystals play. Kill 8 Shard Spinners, 8 Emerald Golems and gather 8 Crystal Strikers and you will be able to reproduce the crystal's song! 1, 4, 3, 2, 5, 7, 6, 8. After that report back to Dr'rader to get your rewards. If you manage to finish the 4th task, Dr'rader will told you, "Earth against Earth-- I never thought I'd see the day! But when we battle ourselves, only tragedy can come about. The battle was harsh, but the Earth always heals. The Radia Terrix-- the root of the Earth-- has survived, though its fruit has not yet grown. They contain the secrets you seek". Description: Oh Hero, it is awful. Unless we can kindle the Radia Terrix's life force, we will never have crystal pomegranates again. To be deprived of their beauty... Please, seek out the Ruby Golems and slay 12, bringing back to me 12 Crystalline Heat. If you can do that, we will have crystal pomegranates and you will see the secrets of earth in them. Enter the Crystal Cavern and defeat Ruby Golem to get Crystalline Heat. After that report back to Dr'rader to get your rewards. If you manage to finish the 5th task, Dr'rader will told you, "You have acquired the secrets, but not even I can speak them. My tongue is not crystal, though my heart is hard as stone. Hah! A dirt-y joke. I jest, Hero. You will need crystal skulls to give voice to the secrets of the Earth". Description: You have the secrets, Hero, which is more than we had hoped for. Now, you need to find a way to bring these secrets to life. Find the Amethites, as they are the key to this. Slay them and collect their skulls. They are made of the purest crystal, which is exactly what we need. Bring back 4 of them. Enter the Crystal Cavern and defeat Amethite to get Crystal Skull. After that report back to Dr'rader to get your rewards. If you manage to finish the 6th task, Dr'rader will told you, "I have kept the hardest truth from you, Hero. We know the location of our kidnapped Prime. She was returned to us, placed in the very heart of the core. Desoloth mocks the earth, mocks us all! Please, free Arradia from her crystalline prison! To turn the Earth against the Earth Prime is an abomination of nature!". Description: Desoloth has turned earth power against the embodiment of my element, Arradia. It is unthinkable that we must attack her, to right the wrongs of Desoloth, but it is the only way. She's crystallized and is in such a frenzy that pain and desolation may result if you cannot subdue her. Please help restore her to her true form. Enter the Crystal Cavern and defeat Arradia. And then, Dr'rader will told you, "I have spoken with the DragonSlayer and with the Archmage. Both are in agreement that the war Desoloth desires can no longer be delayed. If you are in agreement... You are? Ah, I see. Then we are all of one mind. We must meet with the Primes, give them the final lessons, and prepare our strategies for the final battles between the dragons and the elements!". Description: Now that the core has exploded, the shards are scattered and hoarded by the elementals. Hunt the elementals down and take the shards back. We must protect the secrets of the earth realm, securing them until the time comes that we can regrow them together. There are 50 shards. Please find them. Defeat Earth Elemental, Fire Elemental, Water Elemental or Wind Elemental to get Earth Crystal Shard. After that report back to Dr'rader to get your rewards. At Desoloth's place, you'll see that Desoloth had angry to As'iiur because As'iiur let Galanoth escaped. As punishment, Desoloth kill As'iiur and take As'iiur power into his own. Intro: Although As'iiur betrayed the denizens of the Air Realm, he still served well for many years. Ang'st has commanded this windstorm to spin in eternal memory of the fallen High Priest of Air. It is a message to all that, though Air is everywhere, even it can be controlled by those with power-- whether good or bad. Intro: The time has come. Etherstorm is completely elementally unbalanced. The dragons rage and clash. Desoloth the Final has ignited an earth-shaking conflagration. It is up to you to end this. Fight for what you will, just make sure that when the battle is done, Etherstorm-- and the rest of Lore-- remain whole. I have faith in you abilities, my friend, I always have. I know that you will battle for a cause you believe in. But remember the innocents, the ones who cannot fight for themselves. They will need your strong arm and quick wit to ensure that they have a life left to lead once this war is over. You can choose whether to join Good (Code Location: etherwargood), Evil (Code Location: etherwarevil) or Desoloth (Code Location: etherwardes). Fight the enemies to get a Medal so you can trade in for experience and gold. Also by doing that, you participate for increasing the war meter. Fight until the one of the faction's counter reach 100%. The EtherStorm and Lore feature is depend on the outcoming of the battle ! Intro: Young one, you have battled bravely on behalf of my Primes and the others in Etherstorm. I am not so set in my ways, that I cannot admit I was wrong to doubt your abilities. But the battles against Desoloth the Final is not over. Please, in the name of our Primes and our home, finish this clash of dragons! King Alteon the Balanced has contacted me, telling me of your deeds. I assured him I was well aware that you are a force for Good in Etherstorm and on Lore. He asked that I make sure you fight unharmed, but you do not need MY aid to emerge from battle unscarred. Task 1: Redeem the Ether-Creatures! Description: Desoloth has soiled our land. His disruption has allowed Chaos to creep in and taint our creatures. The beautiful thunderbirds of Etherstorm-- each aligned with an element-- have become twisted, filthy. Bring me 3 of each and we will work to slowly cure them all. In gratitude, you'll receive 6 defender tokens of each element. Defeat Tainted Emu to get Twisted Emu Feather, defeat Tainted Pelican to get Twisted Pelican Feather, defeat Tainted Hummingbird to get Twisted Humingbird Feather and defeat Tainted Phoenix to get Twisted Phoenix Feather. After that report back to Hs'Sakar to get your rewards. Task 2: Investigate the Ether-Taint! Description: We Priests are aghast to find the pure, glorious creatures of Etherstorm have been tainted by Chaos. It does not show... yet... but we can sense it. Desoloth's dissonance, his disruption of our land, has enabled Chaos to take hold. Capture 3 of each Thunderbirds so we may study them to find a cure. In gratitude, you'll receive 3 defender tokens of each element. Intro: You have stones, Young One. The strength of the Earth pounds in your veins. Do not falter now, though, because Desoloth the Final has emerged and the war for our home has begun. In the name of our Primes and our home, finish this clash of dragons! The Evil Empress, I think you call her Gravelyn, she has sent a messenger. She says you are a force for Evil in Etherstorm, and wishes me to guard your back with my magic. You do not need MY aid for that, but I understand an Empress not wanting to lose a valuable tool. Task 1: Slay the Ether-Creatures! Description: Although I am reluctant to order it, and though I know my fellow Priests will not agree, we must wipe out this threat of Chaorruption before it can take hold! The creatures are just too far gone. Slay the tainted Thunderbirds so that Chaos cannot gain a greater foothold there. 3 of each, young one, and be quick about it. In gratitude, you'll receive 6 dark tokens of each element. Defeat Tainted Emu to get Twisted Emu Feather, defeat Tainted Pelican to get Twisted Pelican Feather, defeat Tainted Hummingbird to get Twisted Humingbird Feather and defeat Tainted Phoenix to get Twisted Phoenix Feather. After that report back to Dr'Rader to get your rewards. Description: We Priests are aghast to find the pure, glorious creatures of Etherstorm have been tainted by Chaos. It does not show... yet... but we can sense it. Desoloth's dissonance, his disruption of our land, has enabled Chaos to take hold. Capture 3 of each Thunderbirds so we may study them to find a cure. In gratitude, you'll receive 3 dark tokens of each element. Intro: A wise decision, Young One. In service to our Master, you will find many rewards. Just be sure you do not betray him; he does not suffer traitors well. Battle in his name, and you will see glory, power and much, much slaughter. I know you think me weak, acting as I do, a servant to a greater master. But how are YOU any different? You do what you do for your own gain, even as I do. I do not trust you, Young One, but I do not doubt my Master thinks you will be useful. Task 1: Dragon Sacrifice for Desoloth! Description: My Master has grown stronger, stronger than any of those Priests would believe. He is linked to each creature in Etherstorm now, by blood and breath. With every death of an elemental dragon, his power increases. Slay 3 dragons of each element that he may grow much, much stronger. In gratitude, you'll receive 24 Warrior tokens of Desoloth. Defeat Water Dragon Warrior to get Water Dragon tears, defeat Fire Dragon Warrior to get Fire Dragon Tears, defeat Air Dragon Warrior to get Water Dragon Tears and defeat Earth Dragon Warrior ro get Earth Dragon Claws. After that report back to X'dir to get your rewards. Task 2: Defend Your Master! Description: You have bent knee to my Master, and he is now yours, as well. To prove your loyalty, you must now slay those you once defended. With every elemental dragon death, you strike at the heart of the Primes, our Master's enemies. Slay 3 of each element's dragons and retun to me. In gratitude, you'll receive 12 Warrior Tokens of Desoloth. Then at 05 March 2012, the Evil Faction wins the battle. Go defeat Desoloth. Beware, Desoloth may launch his powerful attack. If he do so, try to throw spells that can reduce his attack, such as weaken from Necromancer's skill. After that, when you've manage to defeat Desoloth, you kill Desoloth instantly. With that, all of Dravix Prime get disappointed. They plan to imprisoned Desoloth and not to kill him. After that, the Dravix buried Desoloth at Cor-Draconis. Later on, Drakath came and reanimate Desoloth ! Hs'Sakar will told you, "I thank you for all your efforts on our behalf, Hero. I am saddened that you choose to slay Desoloth the Final. Though he was mad with power, he was still a dragon. As Dravix, we are bound to protect and serve. Go about your business here and, if it is worthy, I will assist you as I can". Ll'rillor will told you, "Water give you peace, Hero. I am not as hot-headed as our Fire Priest. I know that one must bend and flow as the world and your conscience demand. I shall aid you if it is in my power, Hero, in thanks for all that you have done". Dr'rader will told you, "The bones of many of our children lay within the embrace of the Earth. I do not blame you for that, Hero. But it saddens me to think that even one more dragon should have gone to rest. Your repentance is a heavy boulder upon your back, I am sure. I will lighten the weight as I can". Ang'st will told you, "Air can soothe or destroy; it is a powerful force for good... and evil. I think that perhaps it should not be entrusted to a human, even if you do regret the actions you have taken. Still, I will use its power to aid you while you are here". The journey will continue at A Plague Of Dragons Quest. CLICK HERE to see A Plague Of Dragons Walkthrough. If you want to see the cutscene, CLICK THIS ETHERSTORM CUTSCENES.